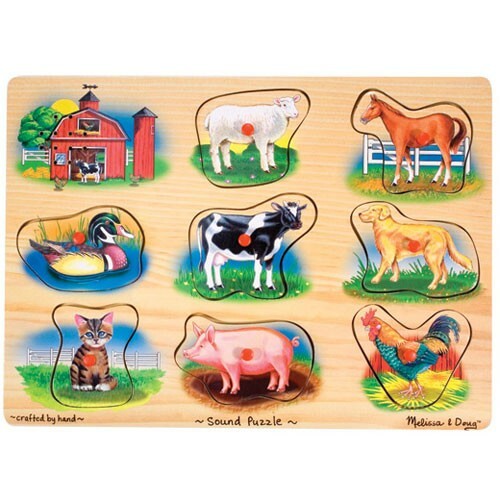 Farm Sound Puzzle by Melissa & Doug is just perfect toddler puzzle to get acquainted with the farm animals and recognize the sounds they make. 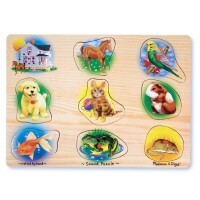 This sturdy wooden puzzle presents 8 different animals, clearly illustrated for young children. 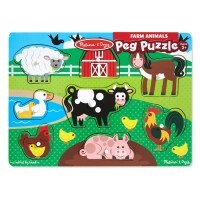 A horse, a cow, a duck, a goat, a pig, a rooster, a dog, a cat will say their favorite realistic animal sounds when your toddler find the proper space for them on the puzzle board. 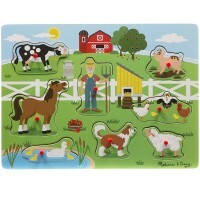 Every barnyard animal puzzle piece comes with a peg for easy grip by the little hands. 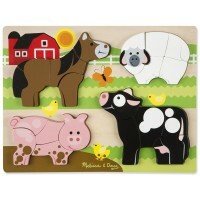 Educational Toys Planet's farm animal first puzzle meets and exceeds all U.S. toy safety standards. 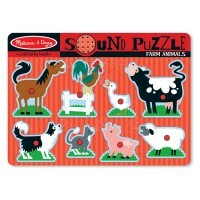 Dimensions of package 11.6" x 1" x 8.5"
Write your own review of Farm Sound Puzzle. 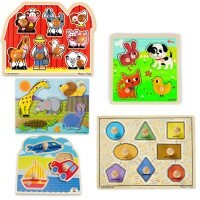 Rating: 4 Fun by Jessica G Kids who love animals will love this toy. 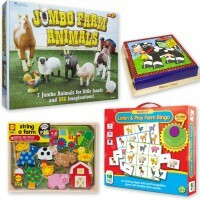 They will enjoy putting it together as they practice their spatial and problem solving as well as fine motor skills. They will also love practicing their animal vocabulary and sounds. 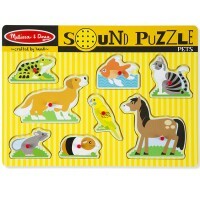 The one issue with this puzzle is that the sounds can be faint and a bit hard to hear. Overall, a great toy. Rating: 5 by Maria, CA Several of our friends have this puzzle so that's why we bought two as gifts. Rating: 3 by Maria, CO The sounds don't work all of the time. 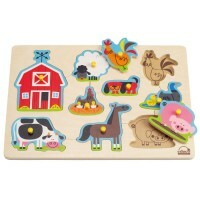 Rating: 5 by Michelle, NY simple and fun puzzle for toddlers. our 1.5 y.o. can now find all the animals, and even tries to copy the animal sounds. Rating: 3 by Dian, TX My grandson may be a bit too young (16 mo) or just too distracted. He played with this for about 8 min - liked the sounds - then he was off to explore something else.